A very short post today. 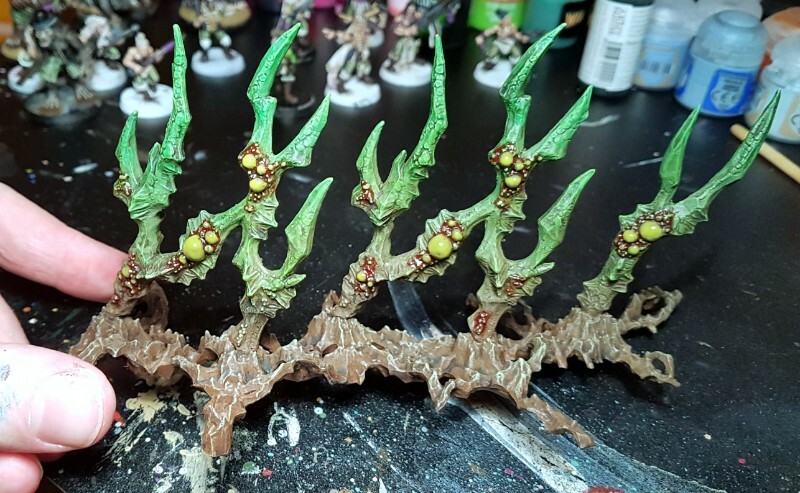 Five Citadel “Shardwrack Spines” painted to look a little like space cacti. I like the visual that these have, it’s nice for photo backdrops in addition to game terrain. The paintjob was super rapid: spray cans, drybrushing and washes, with a little bit of blobbing on “Nurgles Rot” onto the bulbous areas. The Ratskin shown will be posted in more detail with his buddies in a future post. 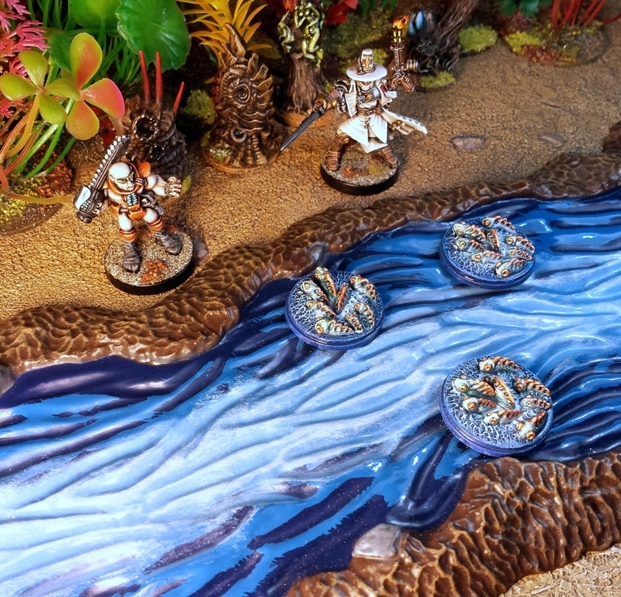 EDIT: I have been asked for a description of how I painted these, so I am adding it here. After assembling the pieces fully, the bases were sprayed with GW Mournfang Brown spray, while the models were held by the tips of the spines. Little or no paint got further down the length of the spines than halfway. Then the top two thirds or so were sprayed with GW Death Guard Green spray. After that approximately a third of the top ends of the spines was sprayed with Army Painter Greenskin spray. Once dry, almost the entirety of each spine was rapidly drybrushed with Citadel Eldar Flesh followed by GW Tyrant Skull (IIRC). A few washes of Army Painter Green were added towards the top of the spines. GW Niblet Green was drybrushed here and there, focusing on the vaguely shell like shapes that appear on the sides of most of the spines. A little bit of an acid yellow colour with a bit of green in it was drybrushed on to those areas too. 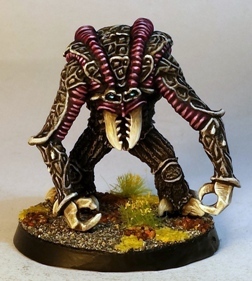 The areas of bulbous growth were painted with watered down GW Blood for the Blood God, which dries with an appropriate, glossy, sticky-looking finish. 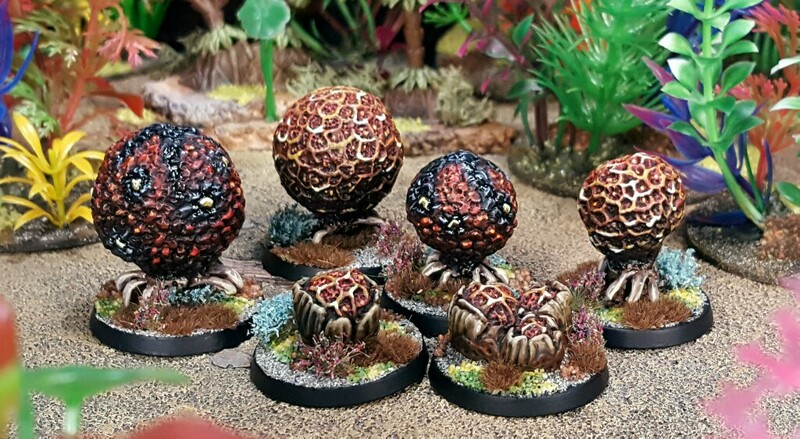 When that was dry a couple of coats of GW Nurgles Rot were added to the larger spherical growths. The tips of the spines were painted with GW Agrax Earthshade a couple of times, focusing on less length of the spine each time. The same thing was done with GW Nuln Oil closer to the tip, until finally some thinned down Army Painter Black was used at the very tip. A few brown tufts were added to the base to ground it further. I hope that someone out there finds that useful. Additionally Thomas at High Times on the Eastern Fringe put up a great tutorial on painting these before I painted mine. 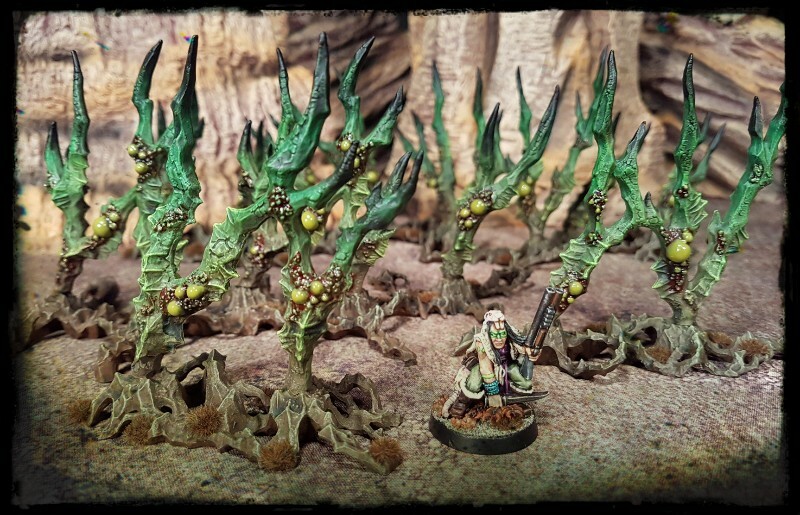 Definitely worth a look if you have Shardwrack Spine painting in mind. I dont tend to promote Kickstarters on this blog terribly often, for various reasons. As this boutique project is particularly close to my hobby heart I decided to mention it. 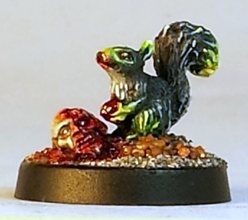 I have been waiting for something like the Sci-fi Frills & Fauna miniatures since 1988. 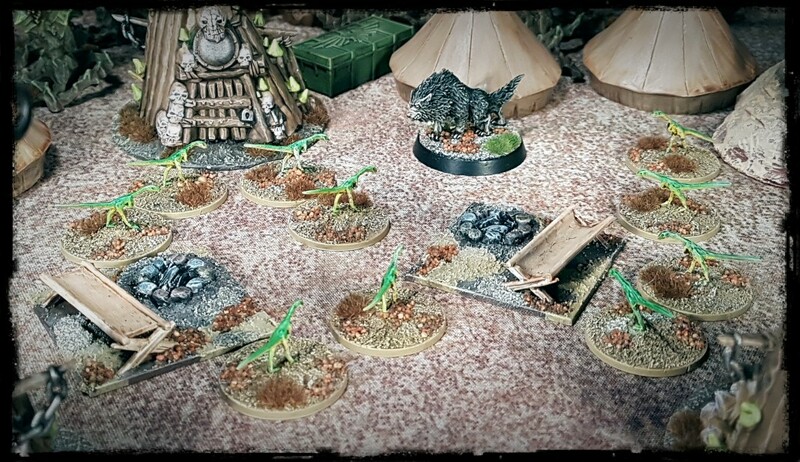 Some of you reading this may have ended up on this blog due to the ongoing Deathworld/Alien Flora & Fauna Project. Any of you that enjoy the sorts of weirdness found in the bestiary sections of various 1980s sci-fi gaming publications are sure to find some fun things in this Kickstarter. In many respects this is precisely the sort of thing that Kickstarter was set up to enable: its wonderfully niche and hugely appealing to a small slice of humanity. The Frills and Fauna Kickstarter is competitively priced too, all the more so if you happen to be paid in anything but GBP at the moment. Well worth a look, even if only a couple of items take your fancy, the KS accommodates it. A desirable vintage piece of Rogue Trader lead joins my Deathworld Flora and Fauna project today: the Ambull. 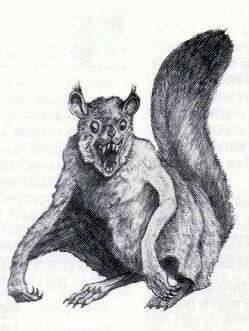 An oft referenced but rarely seen Rogue Trader beast for show in this evenings entry to the Deathworld/Alien Flora and Fauna project: the carnivorous Rippy-fish.